Right at any price isn’t worth it when it’s just a Rock! When I was very young I was given a pen from an insurance company. 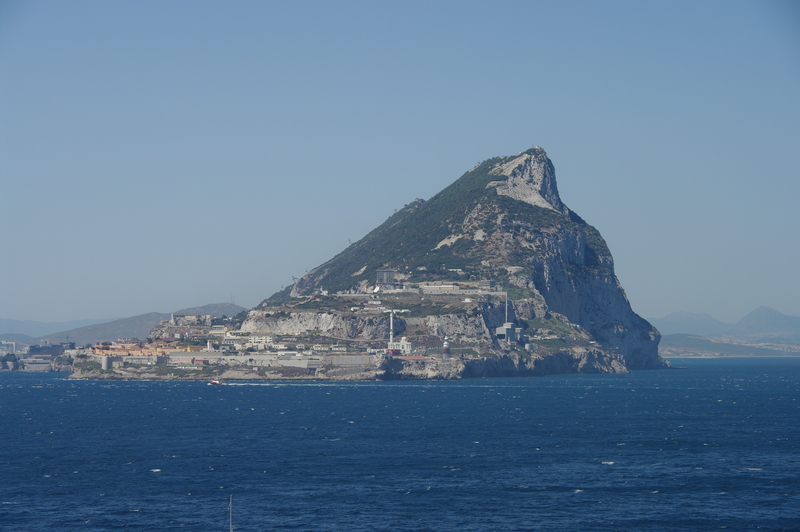 The company was “Prudential” and their logo features the Rock of Gibraltar. The implication was the company was as strong and safe as the famous rock. my pen is long gone, but you can still buy them on ebay! I thought it was quite cool that I had a pen that has a bit of rock floating around in a little capsule at the top. It had come from so far away, and was now, here in school with me. that is a lot of rock, so even the big bit Prudential bought wasn’t missed. I showed it to my good friend Lissa. Lissa looked at it and said “There is no way that is really from Gibraltar, obviously the company just dug up some rock locally and used it.” She joked with me a little bit about being so gullible. I was a skeptic even as a young child, but it seemed to me that the company would get into a lot of trouble if they were giving these out and lying to people. We went back and forth in a debate, but we agreed to disagree. Only I really didn’t. I seethed about this as only very young children can. I wanted to WIN. I knew I was right (though I really didn’t) and it seemed unfair that my friend did not agree with my hunch. I asked the person that gave me the pen, and who was an adult that worked at Prudential if he could prove this was from the real rock. He seemed slightly confused. He said “Does it really matter that much, if your friend doesn’t believe it’s fine. I can assure you it really is a piece of the rock.” I went back to my friends, and she had totally forgotten about our disagreement. She still didn’t agree, but she was also not that interested in the arguing about it. I seethed more. I finally got my adult friend to get a copy of a newspaper article about how Prudential had imported a huge bit of rock they had bought, and used the rock in various give ways to promote their business. There was even a photograph of the huge rock being hoisted aboard a ship. My friend just rolled her eyes. We didn’t hang out much for the next few weeks, and I couldn’t understand why. She was, and is, a great friend and I really missed her humor and how much fun we had. I finally asked her what was going on. I was confused, as I was RIGHT. Didn’t being RIGHT mean she had to acknowledge I was right and that she was wrong. Didn’t being right, and proving I was right, make my behavior acceptable. I thought about it a lot and realized there is being right, and there is being right while being a bully. Bullying behavior is not forgiven just because you were right. No one likes to be proven wrong, but also, she just didn’t care. It was not worth losing a friendship to behave like a jerk. I had been a jerk. I was right, but being right and lonely was an empty victory. I apologized. Now some skeptics would say my friend should have apologized to me. After all she was wrong. But I apologized to her as being right at any cost, including the cost of friendship is wrong. I would say, learn from Lincoln. I have skeptic friends, and former friends, that have at times pushed me too hard. When I say “I’m FINE” I mean “I’m FINE!” I have had times I’ve had to say “I will listen to you, but at the point I say I’m done, I mean it.” I hate being bullied. No one likes a bully. The problem is, I have been guilty of being a bully myself. Skepticism is wonderful, but sometimes if I am right and my friend isn’t, it’s not going to make a difference in the world. But having a friend is going to make a difference in my life. I admit I have found myself guilty of this behavior on more than one occasion. I truly enjoy my friends that say “I know that’s how you feel about immigration but let’s not talk about it anymore.” Sometimes it’s “I know you are passionate about your belief, so I will stop pushing my lack of belief on you, as your friendship means more to me.” I like it when I can argue and also have to know when to stop, because sometimes, let’s face it … it’s really just a ROCK, not anything truly important. Some things of course, I am willing to lose a friendship over. If you insist on not vaccinating your child, I will probably push you a bit too far. I hope I don’t, I’d rather plant a seed of doubt and hope you’ll stay my friend so I can continue to try to help you change your mind. Also tolerance, if you don’t like gays, atheists, transgender or Canadians, we probably wouldn’t have been good friends anyway. Also remember, just because you are a friend, it doesn’t mean you can be a critic. If you friend writes a song and you think “You can’t sing or write a lyric” think of Bob Dylan’s early friends. They probably thought the same thing. Critics are paid to insult your friends, you aren’t. Another problem don’t tell me what someone else thought of my drawing, article or book. I can assure I read and hear enough criticism to not need my friend to point out even more criticism. You are my friend first, support what I do if only because it’s important to me, or don’t mention it at all. Being right is important in many situations. But often between friends, being right means losing a friend. It’s something I know I have to work on myself. A good friend appreciates you despite your differences. « Religious Propaganda or Cryptozoologist Field Guide? Excellent advice, Kitty. Bullies aren’t friends. I had to learn this lesson too, and it wasn’t easy. I still have to check myself. When I say “People are more important than their beliefs” this is what I mean. yes, I get so caught up.. often if I am right, I find it’s better to “plant a seed” than hammer home my point. I also so appreciate a gentle check from friends. This is very difficult for those of us who have had most of our positive feedback thoughtout life because we were right. (grades, academic competitions) Now, I’m and engineer, and because being right is a very important part of the job, (Do you want to ride in a plane designed by the engineer who didn’t get it right?) it is difficult to STOP DOING THAT to everything else in life. If your goal is to show how right you are, go try out for Jeopardy. If your goal is to help people, then getting them to admit your correctness is not important. good point! Being right is important, but I also find there is no one I will agree with 100% of the time. What I catch myself doing is being RIGHT when perhaps it isn’t necessary.